In the 1964-1972 old school muscle car era, American automobiles did not have suspensions like the high-tech systems of today. The typical car of those years had coil springs at all four corners or coils up front and leaf springs at the rear (Firebirds originally had more leafs on one side). Steering was by re-circulating ball or gear systems and most cars had tube type or "airplane" shock absorbers, A-arms in front and trailing arms at the rear. Muscle models generally added heavy-duty shocks and springs (heavy-duty torsion bars on some Mopars). In the early '70s, variable-ratio power steering started showing up, too. Muscle cars also had heavy-duty stabilizer bars at one or both ends of the car. 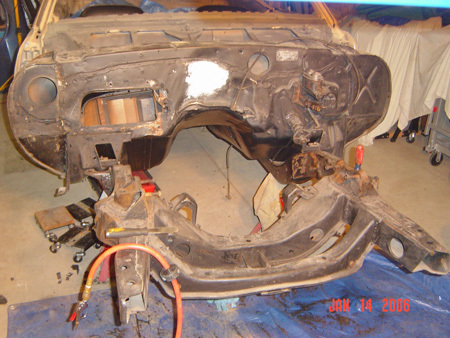 This is how the sub frame on Jeff Noll's Camaro looked when he first got the front end disassembled in January 2006. Here's the frame later the same day after Jeff did some scraping and cleaning to start getting it down to bare metal. 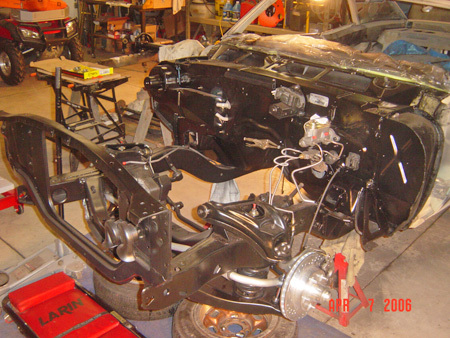 By April 2006, Jeff had the sub frame painted and the two-inch dropped spindles and disc brakes installed up front, along with a new radiator support..
Jim Mokwa's A-body Pontiac GTO had a full frame. With the car's body removed, you could see surface rust and old white paint on the frame rails. Jim cleaned and painted the frame, rebuilt the front suspension, added dropped spindles and disc brakes and bent up new brake lines. Smaller muscle cars, such as Mustangs and Chevy IIs, as well as Mopar muscle cars, trended towards unit body construction. The larger mid- and full-size muscle cars like GTOs and 7-Liter Galaxies still had full-frame construction. This added weight, but the cars were big compared to the cars that came later and they needed frames. Muscle cars performed well in a straight line, but weren't like sports cars when it came to handling on twisty mountain roads. Today's Resto-Mod muscle car builders have more chassis options than ever before. Their choices include square-tube chassis (with powder coated finish for long-lasting good looks), coil-over shock kits, high-tech coil springs, many exotic styles of two- or four-wheel disc brake systems, custom control arms, four-link rear suspensions, sway bars, stabilizer inks, dropped spindles for a lower riding height and ultra-tough nylon or poly-graphite control arm bushings. Designed for building Shoebox Ford Resto-Mods, this Fatman Fabrications frame includes power steering and engine and transmission mounts. Buyers of a new FatmanFabrications frame for 1949-'51 Fords can pick this coil over independent front suspension setup or Shock Wave air suspension. 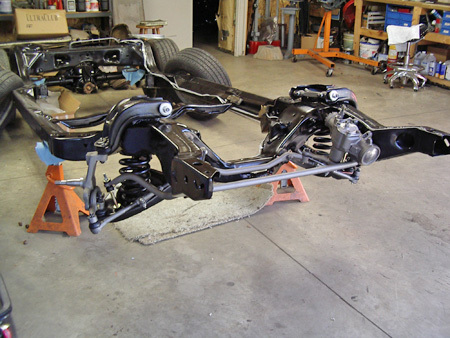 Pro-Link rear suspension is included in the Fatman Shoebox Ford frame package at the standard price of $12,200. You also get an nine-inch rear axle, power steering and engine and pre-installed engine and transmission mounts. Bolt in ready-to-roll custom chassis systems are offered by a variety of aftermarket suppliers in different formats with or without the complete drive train. You can buy a full custom frame designed for specific pony cars and muscle cars that includes the frame, disc brakes, body mountings and front and rear suspensions with all the latest technology built in. You can also get complete sub-frame assemblies featuring coil-over shocks, springs, disc brakes, control arms, sway bars, stabilizer bars and often a complete four-link rear suspension. 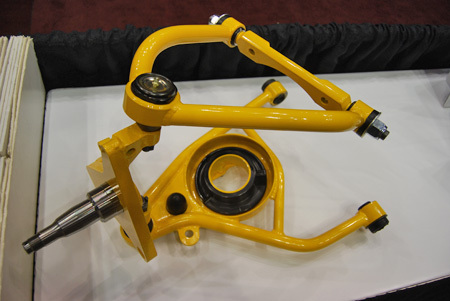 Fatman Fabrication's new 1957-1964 Ford tubular front control arm features a revised ball joint design. Many of the four-link rear suspensions are direct bolt-in setups that do not require builders to make cuts in the car's floor, since they are custom designed to fit specific models. Some of the chassis systems also come with sub-frame connectors that link the front and rear assemblies together to create an extremely strong and rigid frame structure that can accommodate torquey, big-block "crate" engines that come with horsepower ratings from 450 hp up to over 1000 hp. Frame fabricators like Scott's Hotrod 'n Customs of Oxnard, Calif., tend to specialize in supplying frames for certain cars or trucks from 1955-'57 "Classic" Chevys to 1968-'72 Chevy trucks. Scott's also builds direct bolt-in frames for Gen 1 Camaro and Firebird Resto-Mods, as well as a partial clip for Gen 2 F-cars. 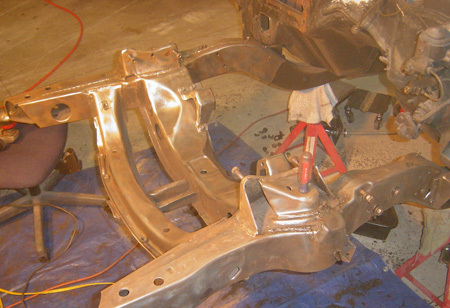 Chevy LS series V-8s, which are popular in Resto-Mods, bolt into these frames with little trouble. Scott's offers base models with prices starting at $10,900. 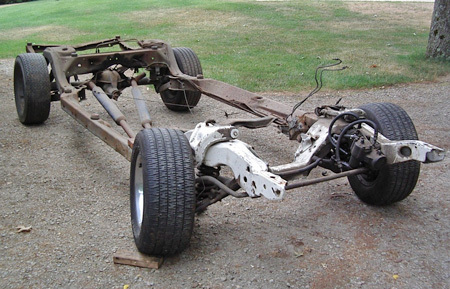 Ready-to-roll frames like these include fully boxed frame rails, SBC/BBC motor mounts, a removable transmission mount, a tubular eight-point X-member, a complete IFS, a four-link rear suspension setup, a Ford nine-inch rear axle, and body mount or running board bolt holes or nuts when applicable. 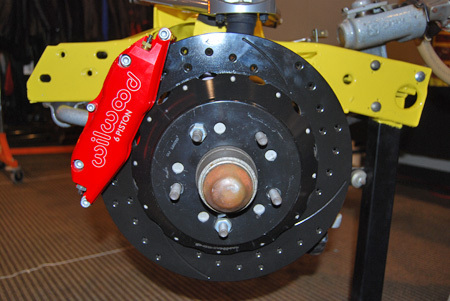 Options include Wilwood front/rear brake upgrades, brake lines, axles and center frame sections. 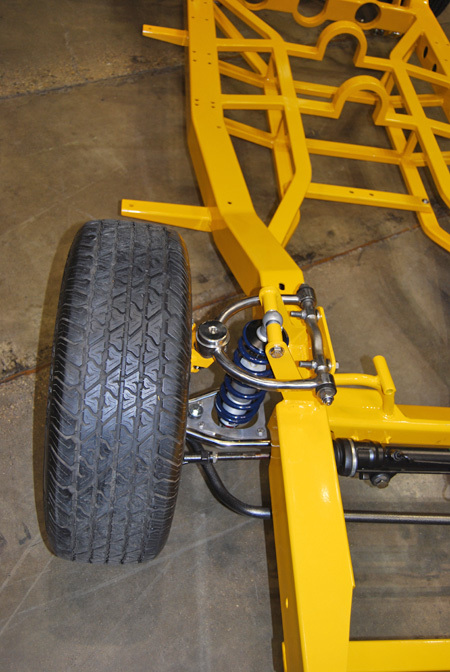 Chassis with custom dimensions for Pro-Street or Low Rider builds are available. Many ready-to-build chassis offerings at Lefthander Chassis feature front/rear brake upgrades, brake lines, axles and center frame sections. 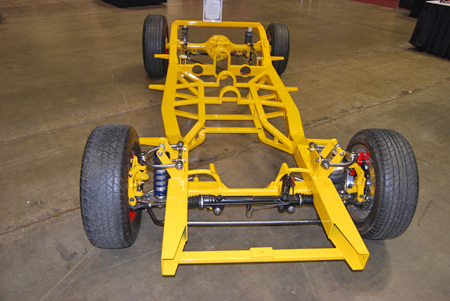 Chassis with custom dimensions for Pro-Street or Low Rider builds are available. Rich Bickle, a former NASCAR driver, is the owner of Muscle Up Performance & Hot Rod Shop in Janesville, Wisconsin. When we met Rich in 2008, in addition to his restoration and hot rod work, he was getting into building frames. Bickle was making simple to install, bolt-in replacement frames for a wide variety of cars and trucks. His products were full replacement frames, not just a front clip or sub frame. By using them, enthusiasts could quickly up-fit race-inspired suspension, chassis and brake components to their muscle car. His line included full frame replacements for Gen 1 and Gen 2 Camaros, 1964-'72 GM A-body cars (Chevelles, Tempests, Skylarks and F-85s), 1953-62 'Corvettes, 1965-'70 Mustangs, 1955-'57 T-Birds and 1962-'67 Novas. Bickle was also working on the prototype of a mid-size Mopar full frame chassis at that time. 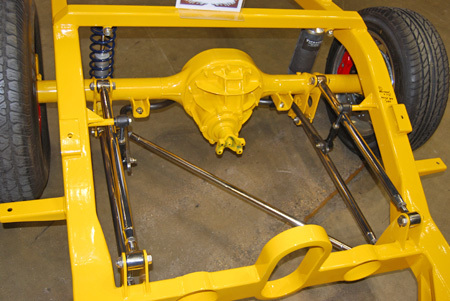 With their additional strength and safety features, the "Muscle Up" frames that Bickle was fabricating brought racing car chassis advances to the streets. Bickle felt that most of '60s and '70s muscle cars that are highly prized by car collectors today did not have enough chassis to go with their monster motors when they were built. "Back then, you could call a car with a big-block a muscle car, but it was really about as far away from a performance car as you could get," Bickle told us "It probably had old knuckle steering with tie rods about the size of your pinky and if you bumped anything, you were going to bend it." From Bickle's NASCAR racing driver perspective, the muscle cars of that era looked great, but were not as highly developed in a technical sense as their modern counterparts today. "They really had very inadequate frame and chassis components and the technology needed to overcome the slow steering, poor handling and unsafe braking did not exist back when they were new," Bickle stated. "There's just no comparison between a '60s or '70s muscle car's original handling characteristics and the characteristics of such a machine that has been upgraded with a Muscle Up Performance frame and suspension package." The chassis were precision designed, fully jigged, mandrel bent and welded to exacting specs. The high-tech processes insured high quality strength and product integrity. Each frame included body mounts and radiator core supports for do it yourself installations. They also included a racing inspired and proven A-frame design for either coil over or air ride suspensions, rack and pinion steering, easy bolt ups for automatic or stick shift transmissions, mounts for small- or large-block engines and a mid-frame integrated brace with exhaust passageways that could accommodate up to three-inch diameter exhausts. The third member used with these chassis was the Ford nine-inch rear axle with coil over or air ride suspension that added to 21st century handling and performance. Bickle made models for both full-frame and uni-body cars. He said that all of his chassis were made of the finest DOM steel and tubing to eliminate chassis flex and instability. They were custom built to order on his precision frame jig and took two to three weeks to make. He estimated they were up to 200 percent stronger than original factory frame. Eliminates chassis flex and instability. Rich pointed out that stock type suspension parts, engine mounts or rear ends would not bolt up to these chassis, although they all could be used with the original factory floor. About 65 percent of the frames he made went out the door as full frame, ready to bolt up chassis left in bare metal. These would either be installed by the customer or by a local restoration shop that the customer hired for the job. However, complete paint and powder coat finishes were available if desired. A few years ago, Muscle Up Performance & Hot Rod Shop sold its frame business to Jeff Schwartz who owns Schwartz Performance, Inc., of Woodstock, Illinois. Jeff has even expanded the line to include frames for Dodge Coronets, Plymouth Road Runners, Dodge Chargers, GM A-body station wagons and 1947 to early-1955 Chevy pickup trucks. Rich Bickle remains a dealer for the chassis. Jeff Noll stuck to using the original sub-frame and uni-body construction for his '67 Camaro Resto-Mod, but he added a heavier duty sway bar on the front of the car and he also purchased a rear sway bar kit. Jeff replaced all the suspension bushings with a set of polyurethane bushings, but now he doesn't personally recommend doing this, since he has been getting a lot of squeaking, even though he applied the grease that came with the replacement bushing kit. On the rear of his Camaro, Jeff retained the factory stock mono-leaf springs, but he added Competition Engineering adjustable traction bars. He explained that traction bars of this design allow you to pre-load the rear suspension for better acceleration. In addition, they also prevent any wheel hop. Jeff's car also features Edelbrock's Performer IAS Shocks, two-inch front lowering spindles and a disc brake conversion. The front sway bar previously mentioned is 1-1/4 inches in diameter and the rear sway bar is 7/8-inch thick. Jeff employs the stock type front and rear springs and added Custom Hex Aluminum Fender Support Bars. Recently, he installed QA1 adjustable coil-over shocks on the front utilizing the stock A-arms. This setup can easily be changed out at a future date if Jeff decides he doesn't like it or wants to try something else. Jim Mokwa also stuck with his factory frame, buy his GTO uses full-frame construction, so he made a couple of different modifications-along with others similar to those that Jeff went with. Jim did install poly graphite bushings in the "Goat's" front A-frames and rear control arms and he seems to like these so far. At the front of the car, Jim used the stock type coil springs, but installed two-inch dropped spindles manufactured by Heidts. He also has a one-inch diameter front sway bar. The rear has basically the same hardware, except that the springs are factory leafs instead of factory coils. Jim installed a Baer four-wheel disc brake setup with 11-inch diameter slotted and cross-drilled rotors in both the front and rear. 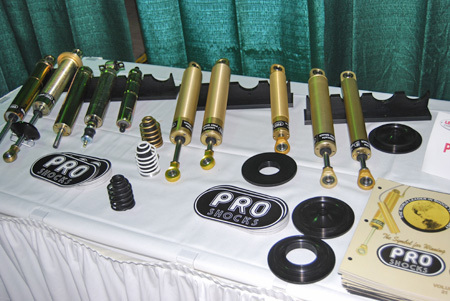 Racing car suppliers like Pro Shocks are finding more and more applications for parts that they manufacture in the Resto-Mod niche. Front-end bushings allow swivel joints to move and isolate and reduce road vibrations. Rubber bushings were OEM in muscle cars and, as we all know, they get mushy and fall apart. Rubber bushings also squish and squash and otherwise distort under cornering/steering loads. Polygraphite bushings are a "hot" upgrade to old OEM bushings. According to Performance Suspension Technologies, a Montville, N.J., supplier, polygraphite is a graphite-impregnated polyurethane plastic. Bushings made of it are firmer than original rubber bushings and improve older suspension systems so that the cars with them handle better. Polygraphite bushings are a "hot" upgrade to old OEM bushings. 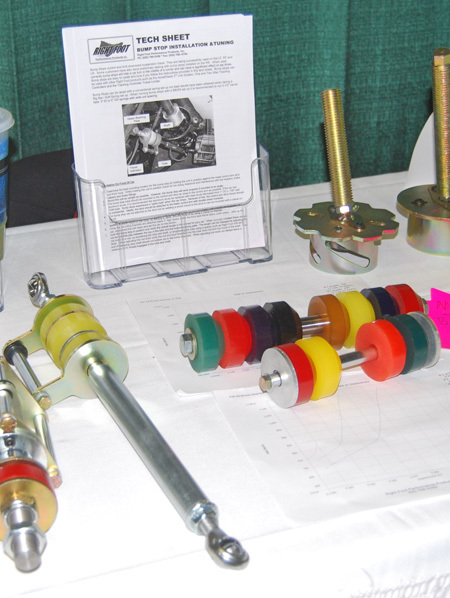 Right Fott Performance Products, Inc., sells these multi-color poly bushings. Camaro owner Jeff Noll — an engineer by trade — said that the polygraphite bushings he installed in his car squeak. This is a commonly heard complaint. Suppliers say that this is due to improper installation. There are many postings on the Internet about this problem and tips on properly installing the lubricants that come with the bushing kits or using Teflon tape as well. There seems to be about the same number of builders without problems as there are complaints about squeaking, so we'd say that squeak-free installs are possible if you check feedback on the bushings you're buying and take care to put them in right. Doing the job right starts with getting the right bushings. Some muscle cars had suspension parts options, so you may have to check the length or diameter of your suspension components, the size of the old bushings and sometimes their shapes as well. Some bushings are round and others are oval. Polygraphite bushings are a bunch costlier than reproduction rubber bushings (which are available, too). For instance, eight polyurethane control arm bushings for a '67 Camaro are about $60 compared to about $22 for rubber replacements. Bushings are used in the "eyes" at the ends of suspension linkages where they join to form swivel joints. You are going to have to remove the remnants of the old rubber bushings from these openings and force the new bushings into the holes. You can apply force very crudely with a hammer. You can get more pushing force with an air hammer. Some people use a ball-joint installer, which is like a heavy C-clamp In our work, we prefer applying the force more smoothly with a bottle jack press. We got a 20-ton press for home at Harbor Freight. The frame is about as tall as we are, but they also have shorter 10-ton bench model that's probably $100. The 20-ton at our shop came from an auction for $150. To press the old bushings out and the new ones in, you can use old sockets with slightly smaller diameters than the bushings to push against them or you can buy or make spacers from proper diameter bar stock that do the same job. You must get every bit of the old rubber bushing out of the opening or the new polygraphite bushing will never slide in. Some people like to burn the last traces of the old rubber out to insure a perfect fit for the new bushing. Most Resto-Mod owners like Jeff Noll and Jim Mokwa usually rebuild the entire front suspension while they are installing new bushings. A typical front end rebuild kit sells for $600-plus and includes upper and lower ball joints, inner and outer tie rods, tie rod ends, upper and lower rubber bumpers, sway bar links, a new idler arm, upper control arm shafts, and the control arm bushings. To get at the suspension, you need to remove the tires, wheels, brake parts, etc. and force the steering linkages apart. Tie rod ends are a force fit in the links, so if you slightly loosen the nut (keep it on to protect the treads) and tap it with a hammer, it will usually pop out. If the tie rod end has been there for 50 years and needs some persuading, use a pickle fork type ball joint seperator. Before removing ball joints, put a stand jack under the lower control arm and wrap both control arms with a chain, using a padlock to give the chain a loose fit that will allow the control arms to move apart to take pressure off the coil spring without letting the spring fly across the shop. The ball joints have the same type of fit as tie rod ends. Put your pickle fork separator between the parts and hammer it farther between them. In profile, the forks tangs have a wedge shape that pushes the ball joint out. Then, lower the jack to safely remove the spring. The spindle or swivel pin can be moved out of the way so that the fasteners holding the control arms on the frame can be removed. We use the 20-ton press to remove the ball joint and bushing from the lower control arm. An air hammer fitted with a blunt tip can also get the ball joint loose and bushing can be pressed out using a vise with a spacer or chiseled out if you like it the hard way. The ball joints in the upper control arms of muscle cars were riveted in by the factory and are removed by taking the parts to the bench and cutting/grinding off the rivet heads. If the car had this done before, the replacement ball joints will usually be bolted in. Then drive out the bushings using your preferred tool. In our shop today we blast the control arms in our 60-inch Eastwood media blasting cabinet, being sure to tape off the openings so they stay smooth and free of the abrasive media. Years ago, we cleaned these parts up by wire brushing, scraping and using chemical cleaners and paint strippers. You can do a good job either way; one is just faster. We use Eastwood's glossy black chassis paint to refinish these parts, but many builders prefer satin black. Before installing the new bushings, they must be lubricated following instructions supplied with the kit. Some polyurethane bushings have metal cases around them and should be taken apart before they are lubricated. As we mentioned, some installers also use Teflon tape, which they feel makes for a squeak-free install. After the lubrication steps, we use the 20-ton press to install the new bushings in the control arms. To get the pressing action right, you need to use press plates, a bearing separator or other pieces of different shaped stock to prop the part up so that the press comes down squarely on the bushing. Polygraphite bushing kits and front end rebuild kits should also include Zerk fittings and new rubber retainer boots to keep the grease in the swivel joints. With new bushings installed, mount the control arms on the car and use plenty of grease on all parts to make re-assembly easier. Then, attach the sway bars, steering arms and other parts. With sway bars, snug the bolts on the upper shaft and leave all swivel joint bolts loose until you have the car sitting on the ground loading the bushings. Then do your tightening of the other bolts. This procedure will help eliminate squeaks. Tighten the ball joints immediately after seating the top and bottom ends of the coil spring and installing the spindle. Now, carefully install your tie rod ends. Remember that one will have a reverse thread for toe-in adjustments. After turning the inner and outer tie rods into the new adjusting sleeves, attach the whole linkage to the car. Lubricate the inside of your new sway bar bushings and slip them over the sway bar. Put the bolts into the holes on the rear sway bar mounts and let them hang. Put the bushings in these and install the bolts into the front holes in the sway bar mount. Then bring the end links up from the bottom and install the parts in proper order. Consult a shop manual for your car and follow illustrations to get the order right. While rebuilding the front ends on their Resto-Mods, Jeff and Jim installed dropped spindles to lower the cars. The procedure for removing spindles has already been described above. To install the dropped spindles, you simply reverse the steps, but install the dropped spindles in place of the originals. Measure bumper height before and after installation to insure that the car dropped the right amount. Get a wheel alignment as soon as possible.